We provide a professional Picture Framing service for all types of Paintings, Artwork and Photographs – or anything else you might want in a picture frame! All of our bespoke picture frames are available with a wide range of coloured mounts to complement your Artwork. Please bring your Artwork to the Gallery for a free consultation and quote. Jack’s Gallery is situated close to the River Thames in the heart of Henley-on-Thames. Our friendly and experienced staff will assist and guide your selections. There is a wide range of Frames, Mounts and Glass on display in the Gallery to help you to achieve your perfect picture. With our bespoke and made-to-measure framing service, almost any size or shape of project can be framed. There is an extensive range of mouldings in various colours and frame widths. We offer a large selection of Mountboards: Standard, Conservation and Museum in over 50 colours. There is a full range of Picture Glass to choose from: Standard, Non-Reflecting, True Vue, Conservation and Museum. 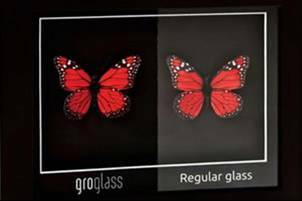 We can also supply glass that offers protection from UV damage, and glass created to be almost invisible. Framing Orders normally take 2-3 weeks to complete and each item will be individually quoted for. We will telephone you when your framed item is ready for collection. Jack’s Gallery also offers a full Restoration Service for Damaged Artwork (not frames), plus cleaning of Oil Paintings. Please call for details or enquire in person at the Gallery.